It’s more than a sanctuary, it’s a puppy heaven too! You might be wondering why a travel blog added an “ADOPT AN ANIMAL” button on her homepage? After my 25th (June 2017) birthday, I decided on taking my blog into more than my own creative personal space where I share my own thoughts, successful stories, failed decisions, and people I meet through travelling. I want to help someone else even in my own little ways. I started my visa guide series mostly to help other travellers to find the best information on the web about visas when visiting a country, all based on my own experience, this is mostly focused on travellers – my main audience. 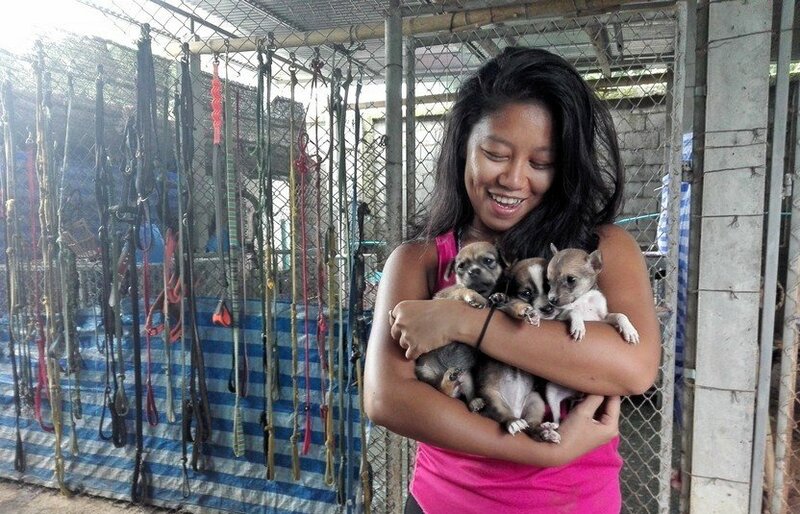 I accidentally found an animal shelter to volunteer whilst I was in Thailand. I worked there for two weeks, which I think was not enough. I learnt the names of over 40 dogs, their behaviour, what they like and don’t like. They are all adorable, they need a home. It was a lot to take in that a simple action from me could make an animal very happy. From giving them belly rubs, taking them for a walk, sneaking extra treats, knowing their names. They maybe doesn’t share the same language as you, but they can understand something beyond your words, they can see that you care, that you are not there to hurt them, you’re there to protect them. The life in the sanctuary made a big impact on me, it made me realised that the world is not only for us – humans. This is also for the animals and it’s our job to make it a better place for them too. I want to use this section to seek for everyone who want a dog or a cat in their life, there are millions of dogs and cats who are being treated badly, there are millions of dogs and cats who are looking for a home to share their joy. If you want to have one, please adopt instead of buying one. The animals are not materials things, it’s not right to place a price tag above their heads. Thai Animal Sanctuary has now over 40 dogs and less than 10 cats who are all looking for a home that will care for them. After working with Baan Unarak Thai Animal Sanctuary, I can see that the shelter really have done something to the community around them. They provide free medical attention to the animals, they take the abandoned ones in. 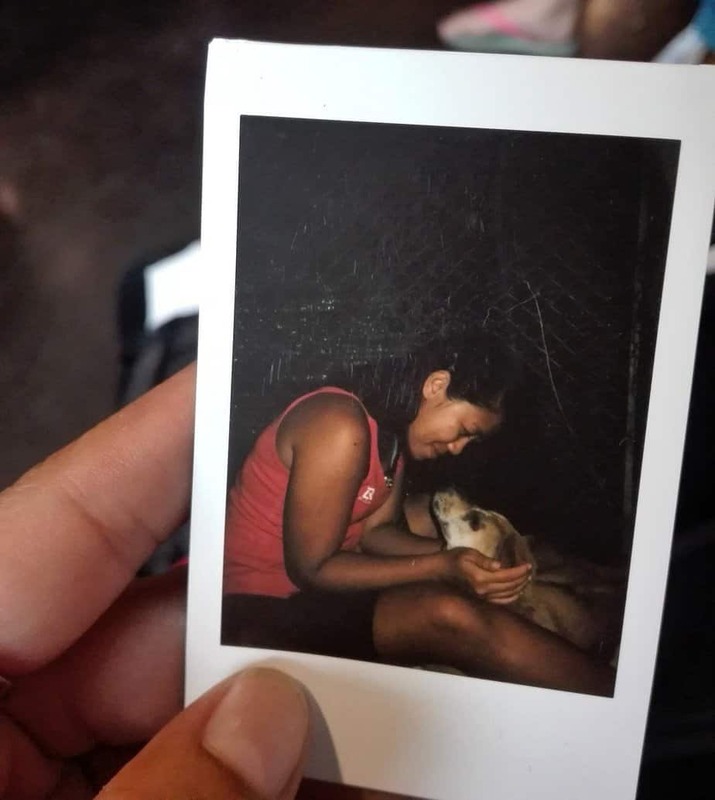 However, there are a lot of dogs and cats that are still being left behind or their owner have treated them badly, the sanctuary has only limited space to home these sweet angels. As of now, I cannot adopt a dog or cat. I don’t have, yet, a suitable home for them, my lifestyle will drive them insane! The only thing I can do for now is to extend as much as possible help I can. That’s why I decided to provide this section only for this purpose. If you are very fond of dogs or cats and you are ready to give someone a home, please don’t hesitate to come to the sanctuary or get in contact with Baan Unrak Thai Animal Sanctuary for more details on how to adopt a dog. You can reach them through Facebook as well. Get in contact with Thai Animal Sanctuary to know more details about adopting a dog or a cat.